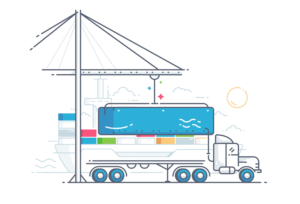 What are Container Drayage Services? Container Drayage refers to the transportation of goods over a short distance via truck. 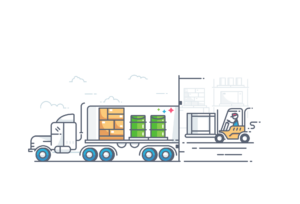 Usually in the industry, we are talking about the specific trucking service that is used to deliver containerized cargo from the port to a warehouse, or a rail ramp, or another port. However, you should note that it is not as simple as delivering goods from Point A to a nearby Point B. There is an array of regulations and formalities that need to be adhered to and completed during this time. 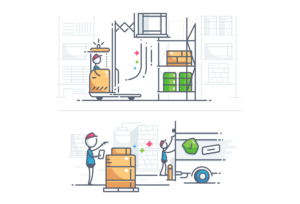 For example, you may need to update shipping documents, deal with congestion, scheduling, repackage shipments, as well as load and unload shipments from one transport to the next. At 3PL Center, you never have to fret over these tasks as we’ve got you covered. We are able to get containers out of the port very quickly, and we work seamlessly with our customers, whether you need the containers to be dropped or be live unloaded. We handle 20ft 40ft 45ft and open top containers. 3PL does it all! Why Should You Choose 3PL Center for Container Drayage Services? When you are seeking solutions for container drayage near any of our locations around the country, 3PL Center is able to serve you with the same level of passion and dedication. Our customer service team is available 24/7 so you can enjoy peace of mind, knowing that we are with you every step of the way. Ready to Experience the Best in Container Drayage Services? If you want to know how you can start tapping on our container drayage capabilities, don’t hesitate to give us a call at 732-391-2500 or email us at sales@3plcenter.com today.